The Wellington region of New Zealand occupies the southern end of the North Island and includes and encompasses the cities of Wellington, Lower Hutt, Porirua, and Upper Hutt. The region also includes the coastal settlements and rural hinterland of the Kapiti Coast District, which includes the southern fringe of the area commonly spoken of as "the Manawatu". There are three largely rural districts east of the Rimutaka Range, containing most of the area commonly spoken of as "the Wairarapa", with the chief town being Masterton. Lower Hutt is a city in the lower North Island of New Zealand. It is also known as Hutt City which is the name adopted by the Hutt City Council. The alternative name is confusing, as there are two cities in the Hutt Valley, Lower Hutt and its neighbour Upper Hutt. Upper Hutt City Council objects to the name of Hutt City adopted by the Hutt City Council. Lower Hutt forms part of the Wellington Region. 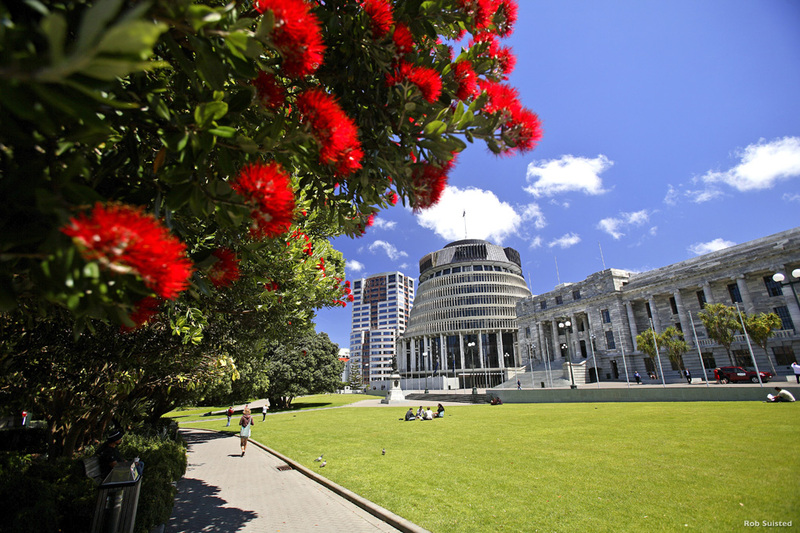 It is the ninth-largest city in New Zealand in population terms, and covers an area of 380 km2. The city is centred on the lower (southern) valley of the Hutt River, to the northeast of Wellington City. The valley widens as the river nears its mouth, meaning that the central urban area of the city is triangular, with its widest point being at the shoreline. In the upper reaches of the city, the twin ranges of the Western and Eastern Hutt Hilsl become closer, culminating in the narrowing known as Taita Gorge at the northern end of Lower Hutt. This gorge separates the city from its neighbour, Upper Hutt. The area of the Lower Hutt City also includes the string of small settlements which extend down the eastern coast of Port Nicholson harbour. These include the two large townships of Wainuiomata and Eastbourne. The city also includes a large area of sparsely populated land to the east of the harbour, extending to Pencarrow Head and into the Rimutaka Ranges. Lower Hutt also encompasses islands in the northern half of Port Nicholson Harbour, the largest of which was known as Somes Island until recently renamed Matiu/Somes Island. The Hutt River is one of the most significant features of the City, which occupies the lower regions of the river and its flood plain. Modern occupation during the 20th century has led to the river being contained by stopbanks, but there is the continuing threat of flooding as the result of heavy rainfall. This threat was realised in the flood of 1985, but the river has been contained since then, even though smaller streams and storm water drains have caused occasional problems in the face of continued well above average rainfall. Much of the land adjacent to the river is protected as reserve and provides a much appreciated recreational feature with walking tracks and grassed areas over the approximately ten kilometres of river bank encompassed by the City. Suburbs and satellites of LOwer Hutt are: Pomare; Stokes Valley; Taita; Wingate; Kelson; Naenae; Avalon; Belmont; Boulcott; Epuni; Fairfield; Harbourview; Waterloo; Normandale; Alicetown; Maungaraki; Woburn; Waiwhetu; Ava; Korokoro; Gracefield; Moera; Petone; Seaview; Lowry Bay; Wainuiomata; Day's Bay; Homedale; Rona Bay; Eastbourne; and Muritai. Masterton is the largest town in the Wairarapa region in the southeastern North Island of New Zealand. It is 85 kilometres northeast of Wellington and 70 kilometres south of Palmerston North, and stands on the banks of the Ruamahanga River. Masterton is a thriving community and the commuter rail link allows many residents easy access to work in the cities of Wellington, Lower Hutt, or Upper Hutt. Local industries involve service industries for the surrounding farming community. The town is the headquarters of the annual Golden Shears sheep-shearing competition. Paraparaumu is a town located in the southwestern North Island of New Zealand. It lies close to the Kapiti Coast 50 kilometres north of the nation's capital city, Wellington. Like many other towns in the area, it has a partner settlement at the coast (Paraparaumu Beach), which lies directly opposite Kapiti Island. The two towns form part of the Kapiti Coast District. Together with the nearby towns of Raumati Beach and Raumati South they are among the fastest growing urban areas in New Zealand, and are slowly becoming major dormitory towns with workers commuting to the four cities that make up the Wellington urban area. The name "Porirua" is of Maori origin. It is possibly a variant of "Pari rua" ("two tides"), a reference to the two arms of the Porirua Harbour. It was the name given in the 19th century to a land registration district that stretched from Kaiwharawhara (or "Kaiwarra") (on the north-west shore of Port Nicholson) northwards to and around the Porirua Harbour. A road climbing the hill from Kaiwharawhara towards Ngaio and Khandallah is still called "Old Porirua Road". In the 19th century a small Maori settlement existed, and a small European village grew up, partly because of the need for a ferry across the harbour. Late in that century the Porirua Mental Hospital was erected on the hill south-west of the village. Originally planned to become a satellite city to Wellington with state housing in the late 1940s, Porirua has grown to city status. Major territorial additions to the city were made in 1973 and 1988 as part of the reduction and eventual abolition of the Hutt County. Suburbs include Ascot Park, Cannons Creek, Elsdon, Onepoto, Paremata, Pauatahanui, Plimmerton, Pukerua Bay, Ranui Heights, Takapuwahia, Titahi Bay, Waitangirua, and Whitby. Rural localities include Judgeford and Horokiri. Upper Hutt is a satellite city of Wellington, New Zealand. 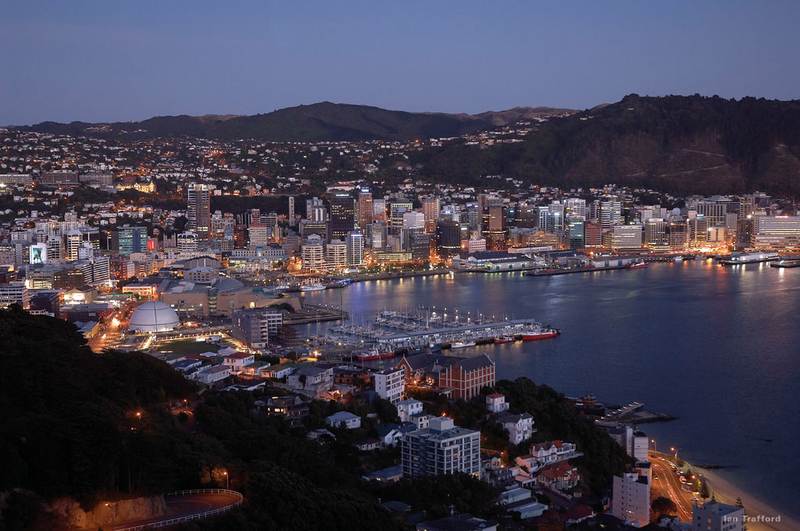 The city is 30 kilometres northeast of the Wellington central business district, and is centred on the upper (northern) valley of the Hutt River which winds its way from northeast to southwest on its way to its outflow into Port Nicholson harbour. The Hutt Valley widens briefly into a 2500 metre wide floodplain between the Rimutaka and Akatarawa Ranges before constricting nine kilometres further downstream at the Taita Gorge, which separates Upper Hutt from its neighbour, Lower Hutt. The city's main urban area is located on this plain. The Upper Hutt city extends to the top of the Rimutaka saddle to the northeast and into the rough hill country of the Akatarawa ranges to the north and northwest, almost reaching the Kapiti Coast close to the town of Paekakariki. The main suburbs of Upper Hutt, from northeast to southwest, include: Timberlea, Brown Owl, Maoribank, Mangaroa, Totara Park, Kingsley Heights, Wallaceville, Trentham, Heretaunga, Silverstream, and Pinehaven. Upper Hutt is sited on an area originally known as Orongomai, and that of the river was Heretaunga (still the name of a suburb of Upper Hutt). Waikanae is a small town on New Zealand's Kapiti Coast. The name is a Maori word meaning "The glistening of the mullet". The town is about 60 kilometres north of Wellington, New Zealand's capital city, and is between the towns of Paraparaumu, eight kilometres to the southwest, and Otaki, 15 kilometres to the northeast. It and its small neighbouring settlement of Waikanae Beach serve as quiet places for young families and older people. The town and surrounding area is most noted for its beautiful beach and river mouth, which is opposite the long form of Kapiti Island, which lies four kilometres offshore in the Tasman Sea. Wainuiomata is a suburban town located within the city limits of Lower Hutt - part of the Wellington urban area - in the lower North Island of New Zealand. 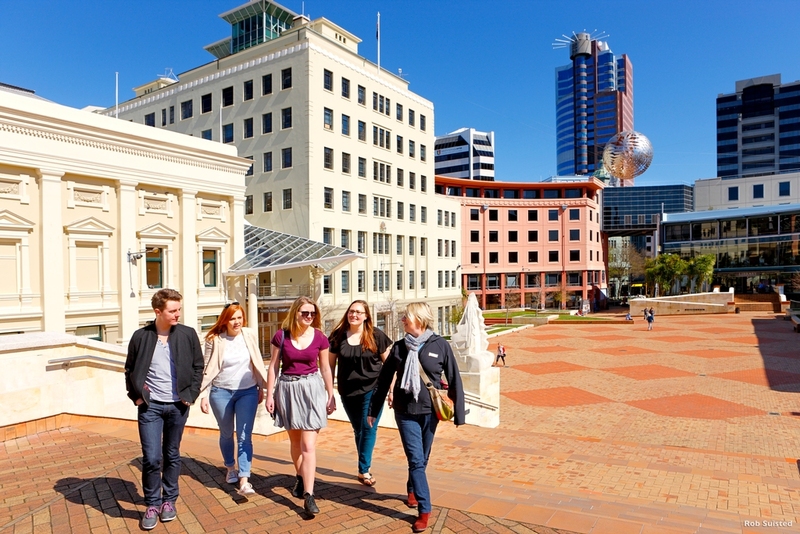 It is located six kilometres to the southeast of the Lower Hutt central business district. Wainuiomata is isolated enough from the rest of the city by the Eastern Hutt Hills to be considered a town in its own right by most New Zealanders. My wife and I, together with another couple, had the great pleasure of working with Donna and her team on a three-week customized and very special tour of New Zealand in late December 2013-January 2014. Although we have been fortunate to have traveled quite a bit over the years, I am not one who regularly uses a travel agent. Instead, I have preferred to plan my own trips, living a bit vicariously as I do. But the natural, diverse, and sometimes isolated splendors of New Zealand seemed different, harder to plan and get right. So I contacted Donna, having seen her name in the Condé Nast listing of agents. We just could not have made a better decision. From the very first contact almost a year in advance all the way through our trip to the very end, Donna was right there to provide strong advice, welcome opinions, access to her New Zealand friends, and real-time trouble shooting as the trip unfolded and weather interfered with some planning. She knows NZ extremely well and can help plan a great itinerary to meet most budgets and standards. At each stop on our itinerary as we pulled into our next accommodation or met our next guide, we were treated as if we friends of Donna's, meaning we were well taken care of in special ways. These people have obviously become Donna's friends, but it's clear that she didn't recommend them because of the friendships; it was because they were the right choices, and as a result over the years, they have become her friends too. Bottom line: don't hesitate to let Donna help build an exceptional experience for you.